Great show, great weekend and a great result for our little show team. We had Seven TOFT entries in total and acheived 6 rosettes, 2 firsts who went on to achieve Reserve Champion. In addition one of our agistees SNAPDRAGON Tamar acheived 3rd in the Junior Light Male. 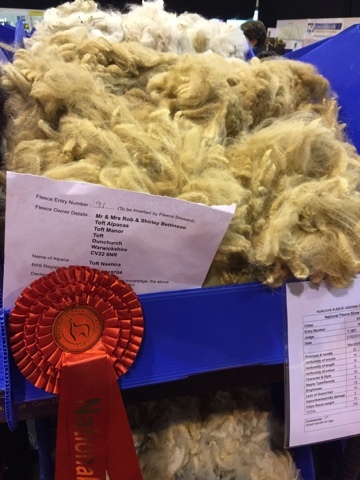 In the BAS Nationals Fleece we entered three fleeces in total and achieved two first and one second. In addition one of our agistees Tanya Davis acheived a third place in the Junior Male Brown with TOFT Kleef. Congratulations Tanya and Kleef. 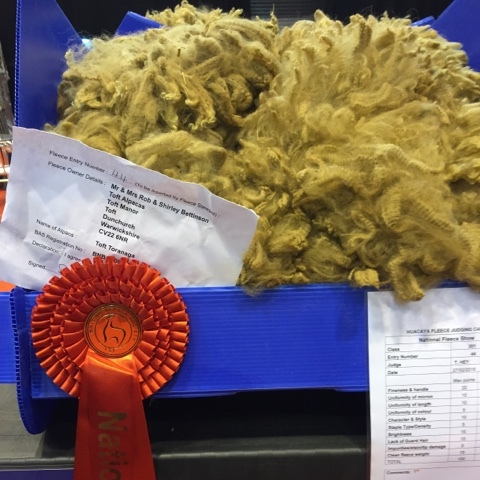 All in all great results for TOFT Alpaca Stud in a seriously competitive show with almost five hundred entries. 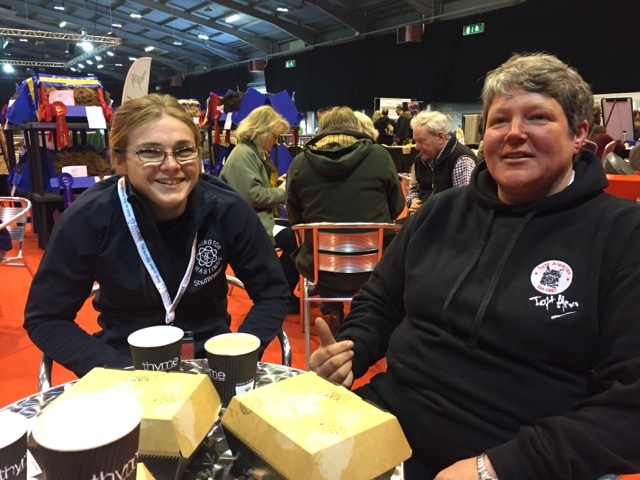 A massive TOFT thanks to Freya and Linda for getting the animals into the ring in a real professional manner looking their best. Another to the show organiser Barbara Hetherington of Beck Brow Alpacas and her team of stewards and helpers who did a magnificent job in keeping the show moving and on time.